Honeycomb shades offer the warmth of fabric and with the wide range of colors can be an integral part of your decor. Honeycomb shades have the option of Top Down or Top down / Bottom Up offering privacy while allowing light through the open portion. Honeycomb shades come in a variety of fabrics. From sheer to semi-opaque to room darkening. All in a variety of colors and textures. 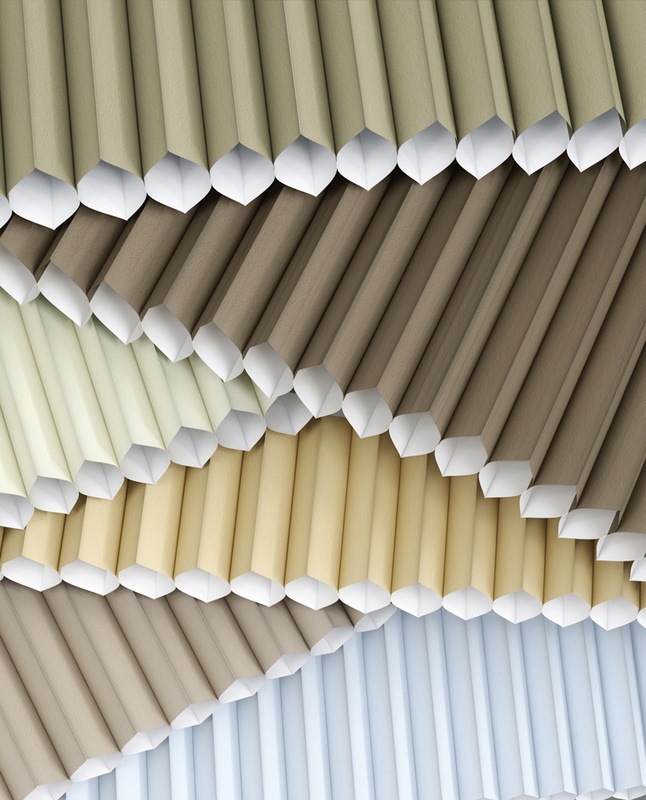 Some of the choices we offer in Honeycomb are Applause, Duette, Crystal Pleat. 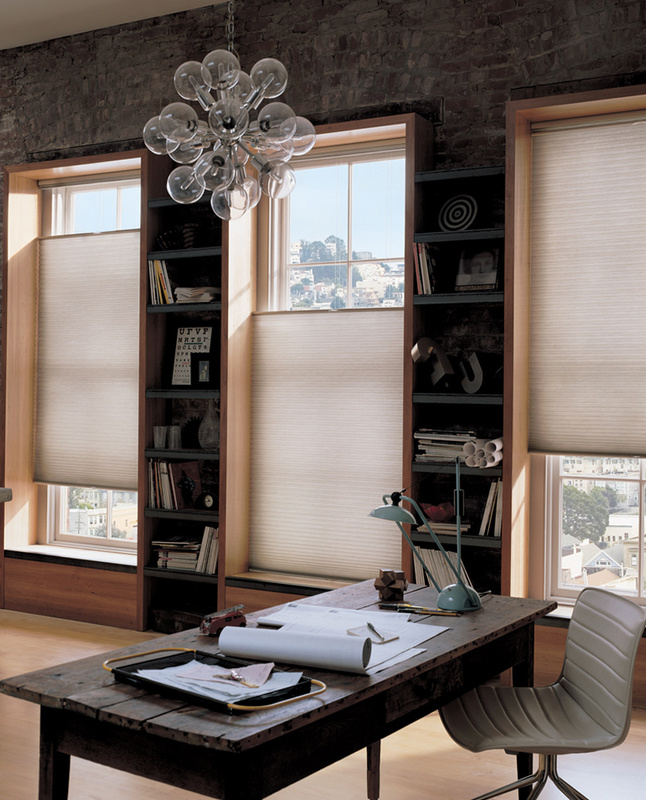 Honeycomb shades, also called cellular blinds, are named for the empty pockets of air that run parallel to their seams. In general, honeycomb shades resemble traditional pleated shades when viewed from the room. 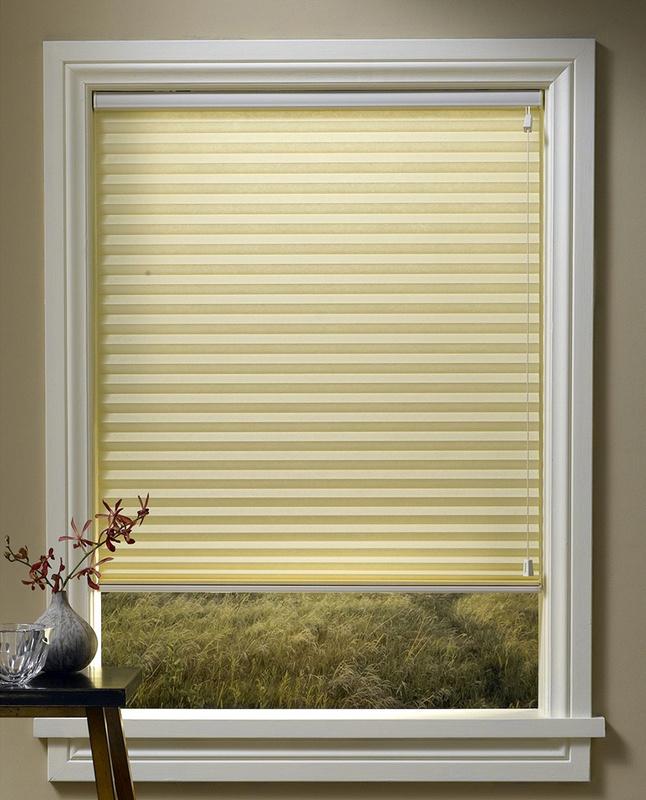 Unlike pleated shades, however, honeycomb shades are composed of at least two sheets of fabric; one facing the room and the other facing the outdoors. Typically the back fabric is white so you can choose a color for the interior and have a nice neutral facing the outside of your home. The layers of fabric are joined together at the seams so that, when the shade is pulled down, pockets of air are created to help insulate the room. These “cells” protect your room against heat loss in the winter and heat absorption in the summer. They also provide barrier against both outside and inside noise. Continuous Cord Loop – A continuous cord loop is great for raising and lowering large honeycomb window treatments. It helps keep it even and balanced. All treatments with a continuous cord loop will come with a cord tensioner already attached. It is simply screwed to the window casing making sure the cord is taut. When installed correctly, the cord tensioner eliminates many window covering cord dangers, making this type of lift system great if you have small children and pets in your home. 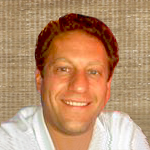 Cordless – If you prefer to avoid cords completely, go cordless. Cordless honeycombs are modern and clean, and they’re entirely child-safe. To lift and lower them, all you have to do is push up and pull down on the bottom rail. Motorization – To take the cordless lift system one step further, opt for motorized honeycombs. With a touch of a button, you can raise and lower them, making it perfect for hard-to-reach windows, if you have young children in the house, or if you or a loved one has mobility restrictions. Top Down/Bottom Up – One of the most unique lift systems we offer for our honeycombs is the top down/bottom up. You can lower them from the top so you get all that natural light coming through. And you can keep the bottom closed to retain your privacy.